The Ideal-tek High Precision Scissor line has been enhanced with the addition of 2 new models in order to satisfy every customer need! 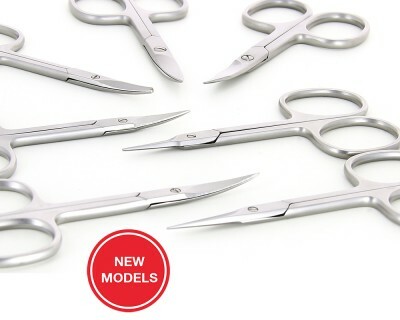 Our new medical grade 361S and 362S straight blade scissors feature the same performance and reliability as our 361 and 362 curve blade scissors. All Ideal-tek High Precision Scissors have thin blades for close tolerance cutting. Ideal-tek high precision scissors are made in Switzerland of high grade stainless steel and are heat treated to 54 – 56 HRC to withstand chemicals, salts, and sterilization when necessary. Our precision-made scissors have excellent flexibility and can be re-sharpened to extend product life. For more detailed information please see our High Precision Scissors leaflet.